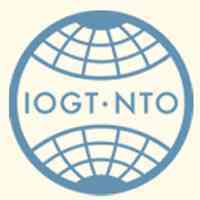 The IOGT-NTO Movement Sweden is currently looking for a new regional representative for our office in East Africa. The position is based in Arusha, Tanzania. The region comprises of Tanzania, Kenya, Uganda, Rwanda and Burundi. Currently the regional programme is funding 14 partners in these five countries. As Sweden’s leading organisation working to reduce harms caused by alcohol and other drugs, we offer an opportunity to contribute to a world where people can live a free and rich life. The IOGT-NTO Movement see the use of alcohol and other drugs as development barriers, in order to contribute to the democratic development and reduced poverty. Our head quarter is located in Stockholm, Sweden, and we have regional offices in SouthEast Asia and East Africa. Together with our partners we work in East Africa with policy and advocacy, community development, vulnerable children and the Scout Movement. • Identifying and engaging donors in the region and overseeing application processes. • Managing the staff (7) at the regional office and providing good leadership and strong team spirit. You will initially be offered a one-year contract and be based in Arusha. The successful candidate will work under the supervision of the Deputy Secretary General, based at head office in Sweden.